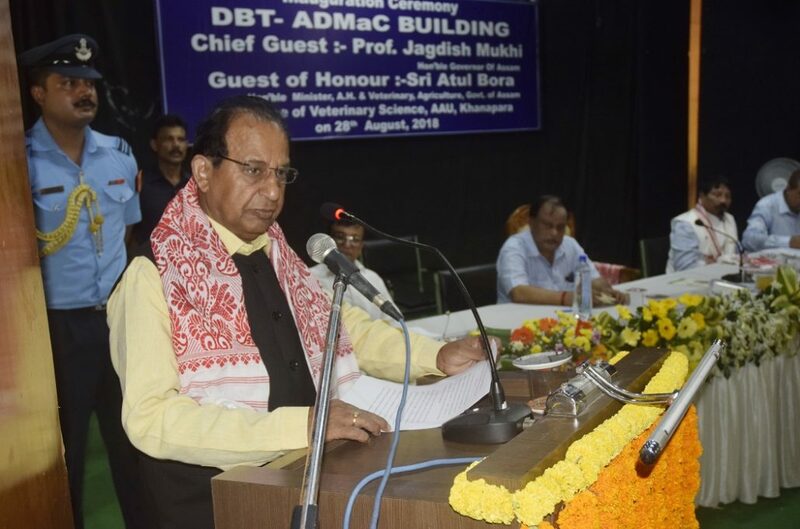 Assam Governor Prof Jagdish Mukhi said that in view of the huge demand-supply mismatch with regard to the availability of milk, meat and eggs, there should be greater coordination between the department of Animal Husbandry and Assam Agricultural University. Governor Prof Mukhi speaking at a function, while inaugurating a state of the art laboratory building of the Department of Bio-Technology at the College of Veterinary Science at Khanapara on Tuesday, said that both Veterinary and Animal Husbandry Department and Assam Agricultural University need to work together taking the advantage of various flagship programmes of the government to increase the production of milk, meat and eggs. He also appealed to both the department and Assam Agricultural University to come forward to jointly adopt 10 villages each to bring in revolution for milk, meat and eggs production, making good use of development fund and available technology. These 10 villages will act as front line villages for other to follow and gradually take the state towards a growth path. 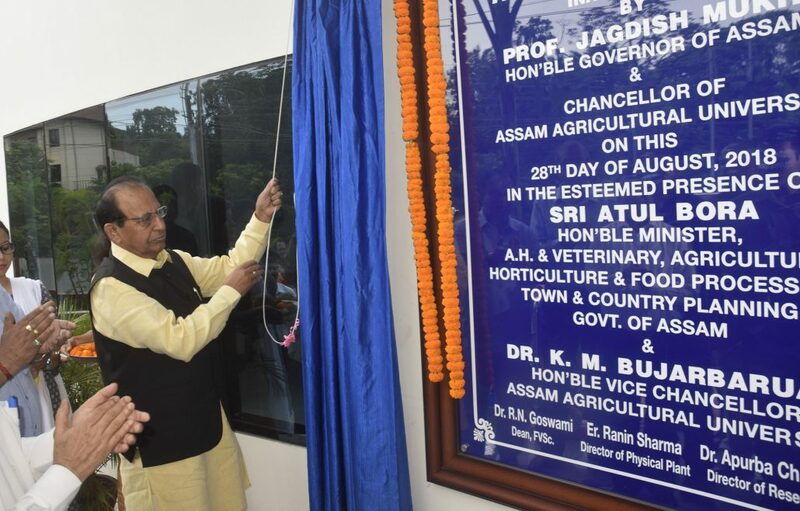 The Governor also called upon Assam Agriculture Minister and Vice Chancellor of Assam Agricultural University to play the role of catalyst in this regard. It may be noted that the laboratory building has been built with a joint budgetary support of the department of Biotechnology, Government of India and Government of Assam. Terming it as a good example of Centre – State partnership for the growth of frontier science in this part of the country, the Governor said that the laboratory has to take the responsibility of assessing and monitoring the trans boundary animal diseases to ensure that no major animal diseases enter the region through the five international boarders that is Myanmar, Bangladesh, Bhutan, Nepal and China.